The magnificent 17 storey Marquis condominium complex was constructed in 2001 by Bosa Developments. The building is located at 1108 6 Avenue SW, between the 5th and 6th Avenues, and also runs along 10th and 11th streets. 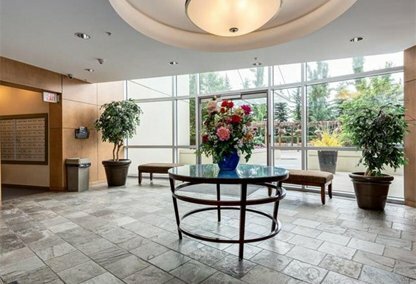 The Marquis condo building boasts 217 spacious living units, and properties on the west side have incredible, unobstructed views of the mountains. 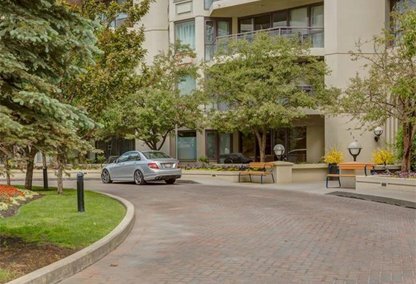 Located on the south bank of Bow River, Marquis condos are sort of tucked away, which provides a nice level of privacy for residents. The Marquis offers waterfront living at its best, with convenient amenities located close by. Banks, restaurants, shops, and the Eau Claire Market can be found within moments of the Marquis, while cycling and running trails are also just minutes away. 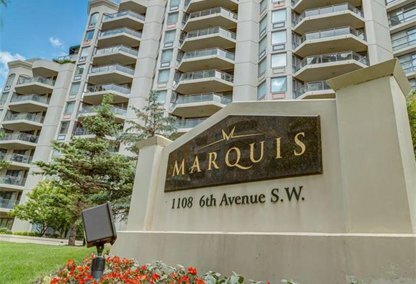 Learn more about what the Marquis condominiums have to offer, or check out all available units for sale below. 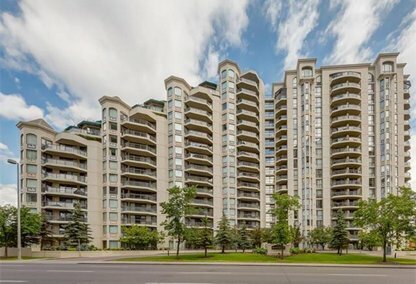 The unique design of the Marquis condominium makes it a distinct structure in the area, offering residents gorgeous sights. A picturesque view of the spectacular Bow River from the northern side of the building is always beautiful, while the mountains to the west are a spectacle to behold. Condos at the Marquis come complete with in-suite laundry, uniquely shaped balconies, maple cabinetry, granite countertops, tiled entrances, soaker bath tubs, in-floor heating in the bathrooms, and gas fireplaces. The Marquis offers lots of building amenities and is very secure. Amenities include a social room with a full kitchen and fireplace, and two fully-equipped exercise rooms. This building features meticulously manicured gardens and yards, and houses a gazebo that's quite popular among residents for social gatherings and picnics. The east and west wings of the building are connected by a lobby and two high speed elevators. Two heated underground parking levels provide 241 titled parking stalls for residents, while a bicycle storage area is also provided. 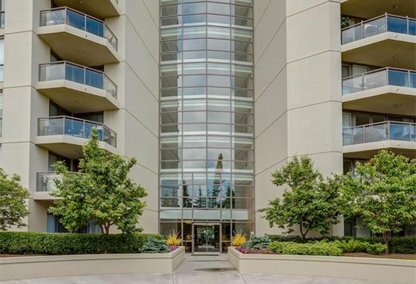 Justin Havre & Associates will be happy to provide more information about Marquis condominium and take you on a property tour of available condos for sale. Contact us today.